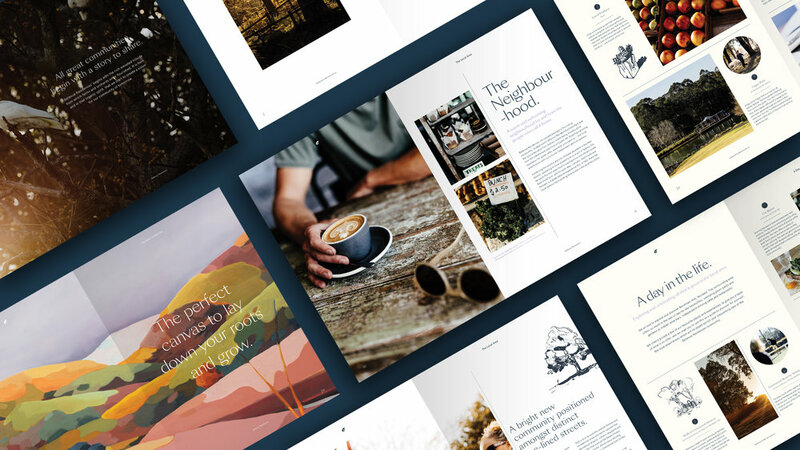 Teaming up with multi-award winning artist, Max Berry, and noted lifestyle and architecture photographer, Adam Gibson, TNG delivered a highly engaging brand and marketing campaign. 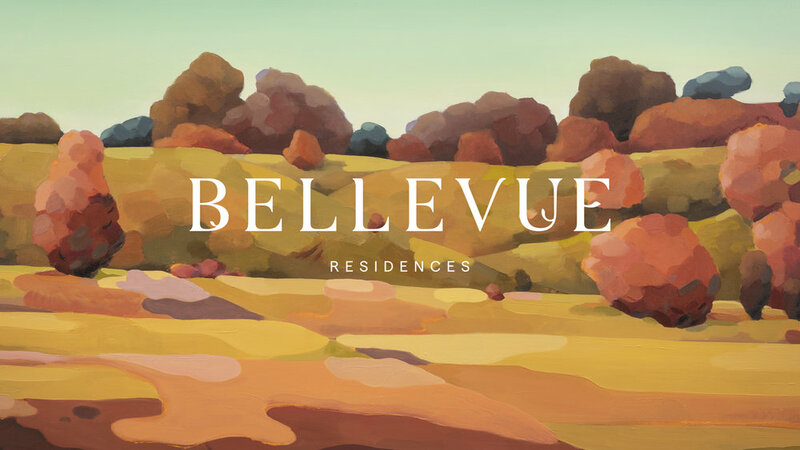 Located in the thriving Hills District, Bellevue Residences is a project by Aqualand – a top-tier developer with a strong appreciation of the arts. 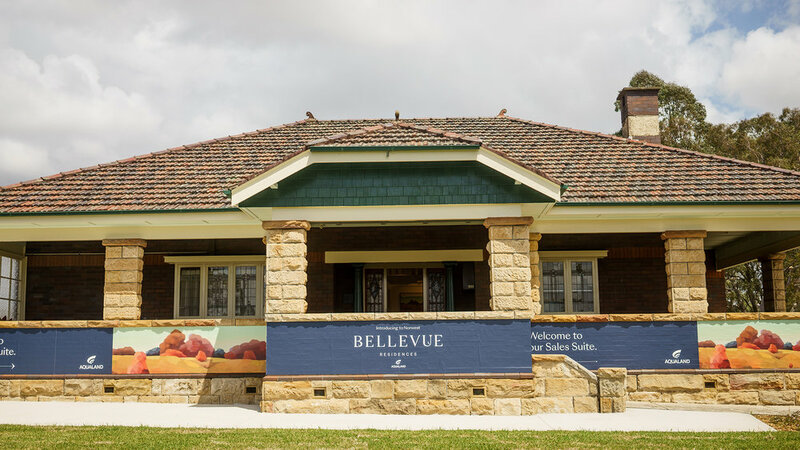 A presenting partner at the Art Gallery New South Wales and previous sponsor of the Sydney Film Festival, Aqualand was only too pleased to create a brand for Bellevue Residences in collaboration with a local artist. We commissioned award-winning Sydney artist, Max Berry, to create a series of artworks celebrating the Baulkham Hills shire. Inspired by the campaign line, ‘Live the Landscape’, his works bring to life the area’s rolling hills, tree-lined streetscapes and wonderful vistas. As each stage of the project is released, a new artwork will be unveiled to accompany it. TNG was responsible for delivering the full suite of brand materials, community engagement initiatives and property marketing collateral for this three-phased, master-planned community. In addition to this, we converted the existing heritage farm house on the site, into a stunning sales suite adorned with beautiful lifestyle photography shot by the uber talented, Mr. Adam Gibson. Adam’s work is defined by a unique blend of composure and spontaneity. Surveying landscape and humanity with an empathetic eye, he draws inspiration from moments of visual chance and accident that illuminate the everyday. With over 1,025 registrations at the launch of the first stage, The Aster Collection (14 grand land lots), we feel this creative campaign not only matched Aqualand's ethos of delivering property differently, but also their mantra of exceeding expectations.